Experience true Ontario fishing at Black Bear Adventures / Dog Lake Resort located just outside Thunder Bay on Dog Lake, Ontario. Dog Lake has over 500 miles of shoreline and is made up of countless bays, islands and reefs. It is nourished by the almighty Dog River and East River systems creating ideal structure for producing world class Walleye, Smallmouth Bass, Northern, Whitefish, and Yellow Perch Fishing!! The Dog River runs over forty miles with spectacular scenery and endless opportunities to land that 'big one'! 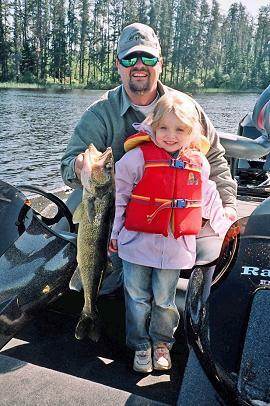 Walleye is one of the best tasting of all the freshwater fish. In the Spring they tend to gather in large schools in specific locations, such as at the mouths of rivers and streams. Later, during the Summer months, they lurk around the islands and reefs. Fall is a feeding frenzy! Not only is this an incredible time of the year to fish Dog Lake, it is also the most beautiful with brilliant colors of yellows, oranges and reds from the leaves changing. 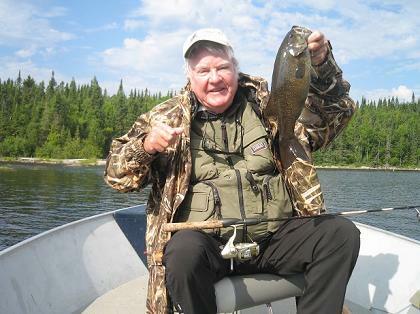 Dog Lake is legendary for its Smallmouth Bass. If you have a need for outrageous fishing action then this is the fish for you. The hundreds of shoals, reefs and shallow back bays of Dog Lake are the ideal habitat for Smallmouth Bass. Pound for pound the smallmouth bass is the scrappiest fish of all. It is associated with a lake environment where its favorite food, the crayfish, is abundant. Some of the best lake fishing takes place in June, and July during, and just after, the spawning season, and in early fall. Natural baits like, dragonfly larvae and crayfish are especially effective during early morning or late evening. The best artificial baits are those used on the surface, or shallow running crankbaits which can be popped along the water to trigger strikes. Fish quietly, casting toward rocks or logs, keeping the rod tip up and the line taut. Annually dozens of trophy Smallmouth Bass are pulled out of this remarkable fishery. The current lake record is 7 pounds 3 ounces. A screened fish cleaning house, freezers and ice are all on site for your convenience. 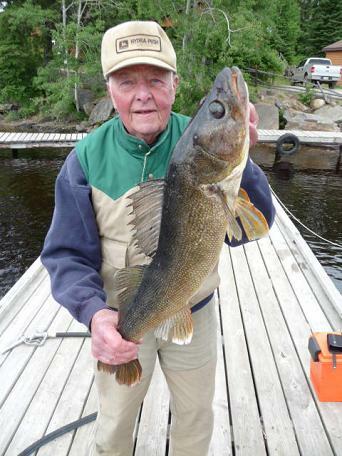 For more information about Ontario fishing or hunting at Dog Lake Resort, contact Black Bear Adventure. Black Bear Adventures is your headquarters for Ontario Fishing!